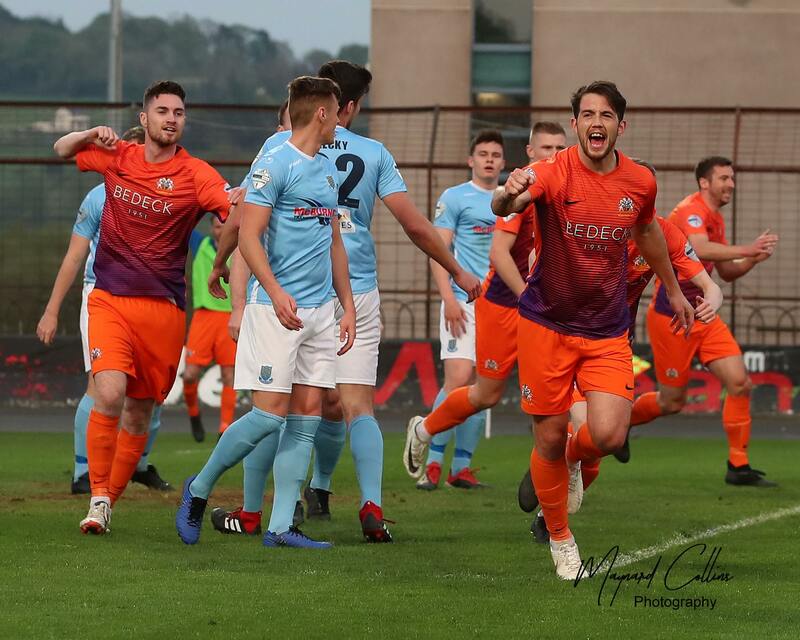 Coleraine are Saturday’s opponents in the second of the post-split Danske Bank Premiership games. 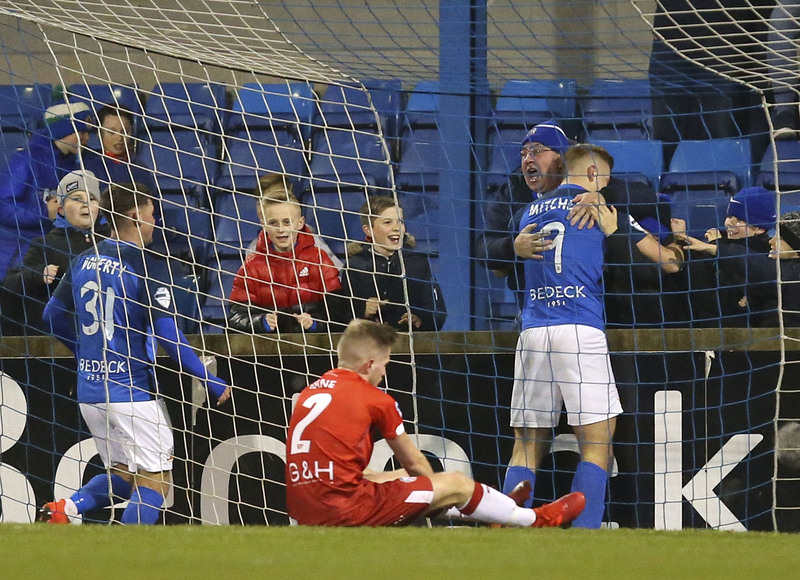 Following last week’s first round of games, which saw Glenavon record their fourth consecutive league win with a late comeback victory over reigning champions Crusaders at Mourneview Park, while Coleraine fell to a 4-2 defeat away to Cliftonville at Solitude, the Lurgan Blues are currently sitting in fourth place, two places and 12 points above the Bannsiders. 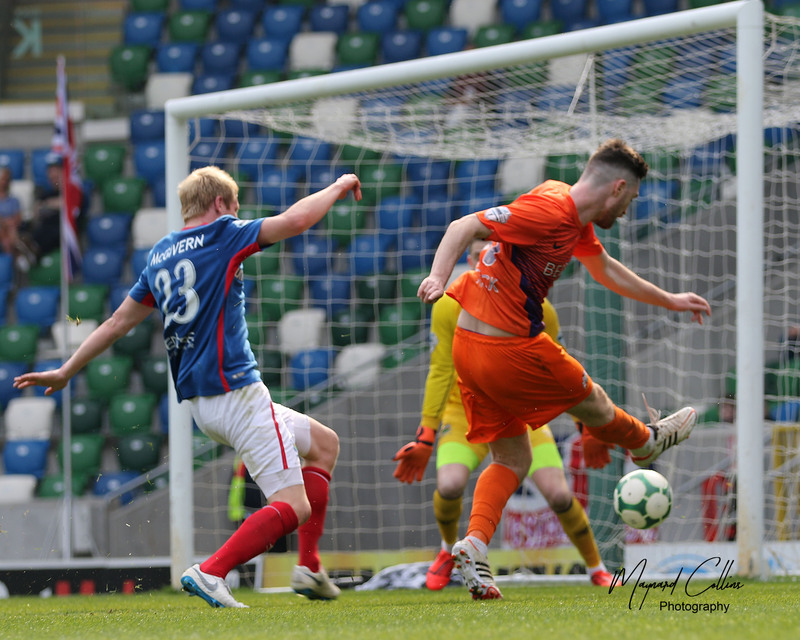 Long-term absentees Andrew Doyle and Caolan Marron remain unavailable for Glenavon, while Eoin Wearen will return to the squad after missing the Crusaders game through illness. Striker Andrew Mitchell, who picked up an injury during the warm-up last Saturday, will have his fitness monitored in the run-up to this weekend’s game to determine if he is fit enough to make a return. 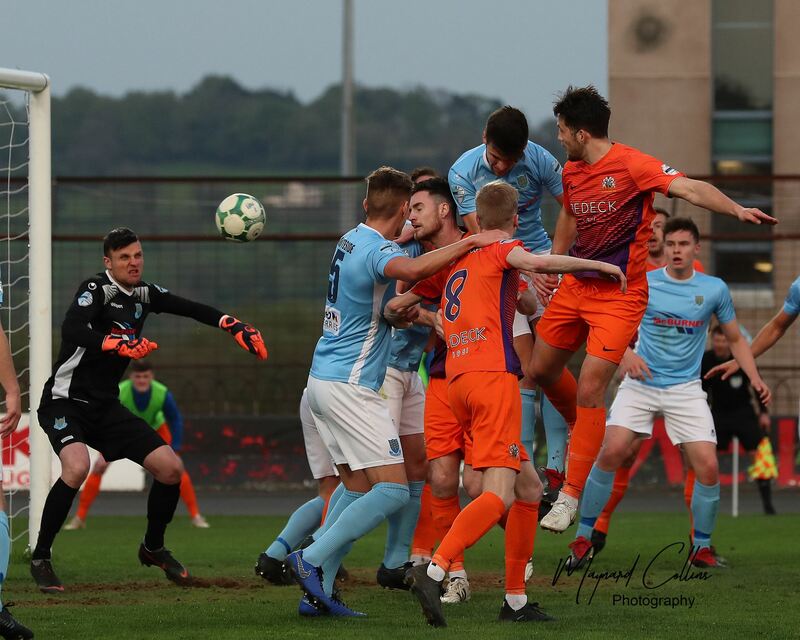 Glenavon’s recent burst of form has seen them close to within just one point of the Crues in third spot, and they are five short of Ballymena United in second place. 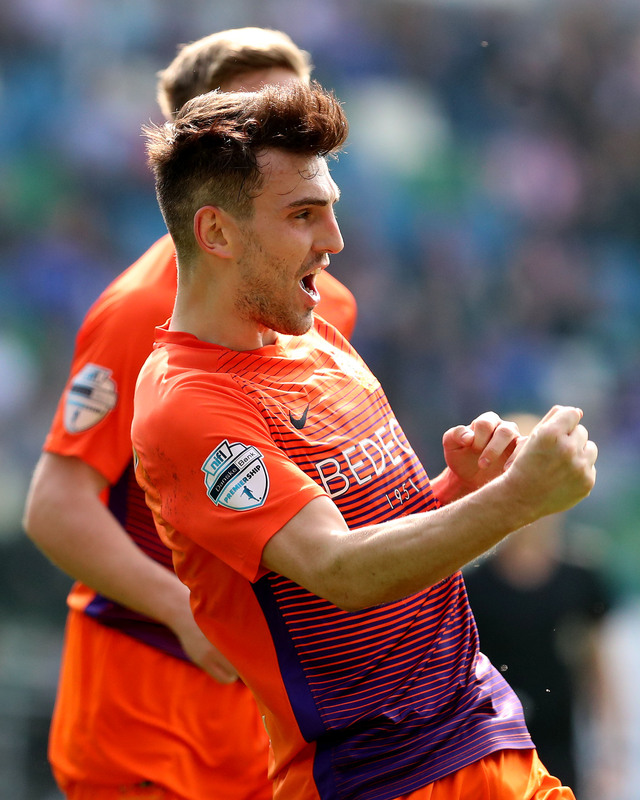 With four league fixtures remaining, some Glenavon fans may be hopeful of securing automatic passage into the Europa League qualifying rounds. However, Lurgan Blues manager Gary Hamilton had a more pragmatic outlook on his team’s prospects for the end of the season. Please note: Glenavon fan Avril Noble will be carrying out a bucket collection prior to the game in support of Marie Curie. To raise funds Avril will be running the Great North Run on 8 September. Avril has chosen Marie Curie in recognition of the end of life care provided for her mother. Please support this worthy cause by donating your loose change. 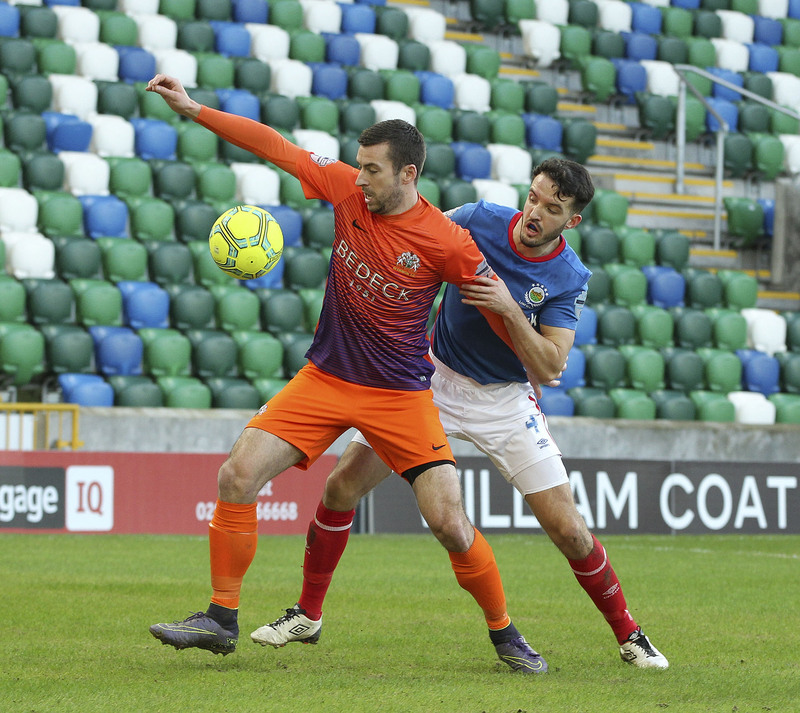 Glenavon have the edge so far this season winning two and drawing one of the three encounters between the sides.